Ramdas Navami is the death anniversary of Samarth Ramdas. Ramdas Navami 2019 date is February 27. Sri Ramdas, popular known as Samarth Ramdas, was a Marathi saint and poet of the 17th century. Samarth Ramdas dropped his physical body and merged with the Supreme Soul on the Navami day of Krishna Paksha (9th day of waning phase of moon) in the Magh month (January – February) as per traditional Marathi Calendar. Samarth Ramdas was an ardent devotee of Lord Ram and Lord Hanuman and he turned to spirituality at a very young age. He is believed to have greatly influenced Chattrapati Shivaji Maharaj. 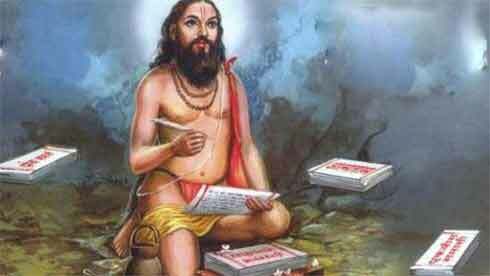 Sri Ramdas was a gifted poet and his short poems contain universal truth and are pregnant with meaning. Sri Ramdas inspired and motivated his generation to rise against the foreign oppressors and also stimulated the thoughts of self realization. His life, writings and poems continues to inspire Marathis and all those who had the opportunity to read his immortal literary works. Manache Shlok is a popular literary work credited to Samarth Ramdas.